President Obama has had a new species named in his honor. 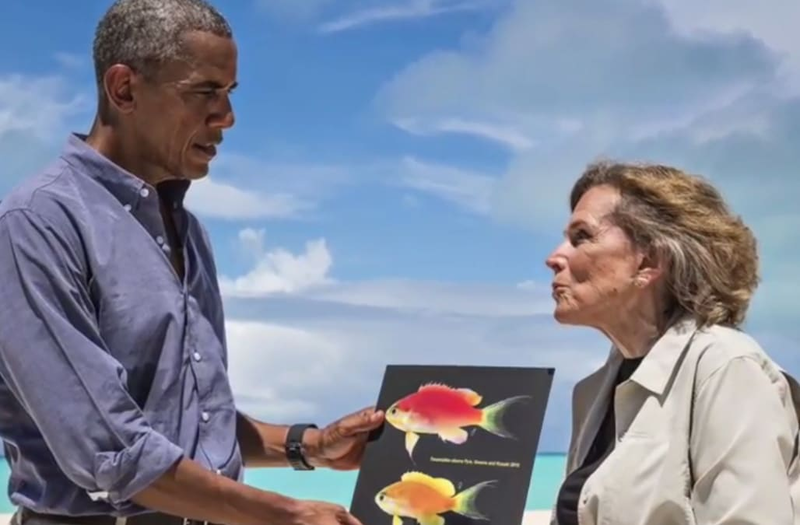 According to a recently published study by scientists from the Bishop Museum,NOAA, and the Association for Marine Exploration, a coral-reef fish discovered off the Hawaiian islands earlier this year has been named Tosanoides obama. A news release about the research quotes lead author, Richard Pyle, as explaining, "We decided to name this fish after President Obama to recognize his efforts to protect and preserve the natural environment, including the expansion of Papahānaumokuākea." In August, the president agreed to expand the Papahānaumokuākea Marine National Monument around Hawaii to 582,578 square miles, making it "the largest permanent marine protected area on Earth." The small fish is said to be colorful, with pink and yellow body hues.